Author and Onondaga County Court Judge Joseph Fahey will speak at the Firebarn at 2 pm, Sunday, September 20th, 2015. Joe will discuss his latest book James K. McGuire, Boy Mayor and Irish Nationalist, a biography of one of Syracuse’s most intriguing mayors. Previously a criminal defense lawyer, Joe was included in the first 10 editions of the Best Lawyers in America. 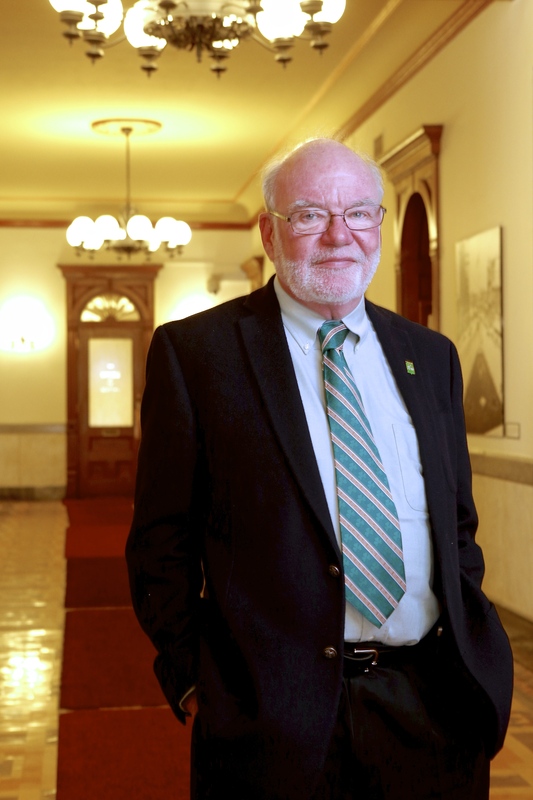 He taught at the Syracuse University College of Law and has written numerous articles on the Irish peace process. Joe’s latest work is a non-fiction book about his maternal great uncle, who was the mayor of Syracuse from 1896 to 1901.The book was the winner of the 2014 CNY Book Award for non-fiction. A Strathmore native, Joe grew up on South Geddes Street, graduated from Corcoran High School, and later owned homes on Robineau Road and Strathmore Drive. He now lives in the Fabius-Pompey area with his wife, Terri Bright, two dogs, two cats, a miniature horse, and three mules. Joe has also completed a book about a case he handled involving a double homicide, which takes on the issues of mental illness and legal insanity. He is currently working on a biography of Jeremiah O’Donovan Rossa, a Fenian leader who died 100 years ago. Joe belongs to many Irish historical and cultural organizations, and considers himself first and foremost an Irishman.